Immunoassay procedures (isotopic and non-isotopic) have become one of the single most important techniques in present-day diagnostic medicine. This book is designed as an introductory test for the staff of clinical research laboratories who conduct or intend to conduct such techniques, and will be of great value to the clinicians who make use of such services. 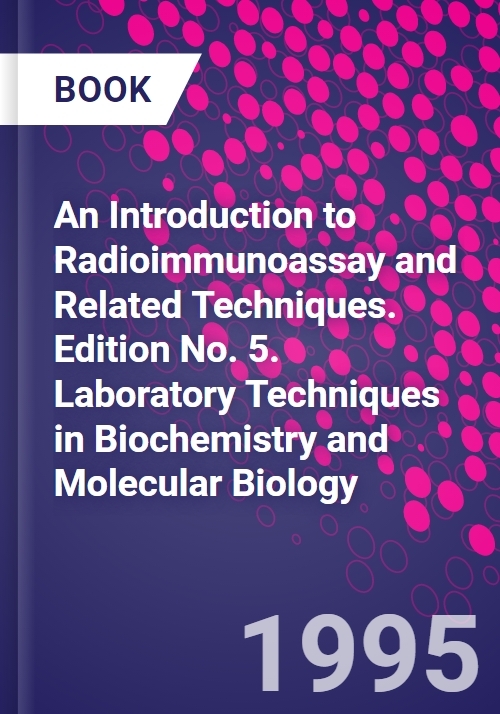 The volume takes a three-pronged approach in it's in-depth presentation: explanation of the basic principles and applications of radioimmunoassays and non-isotopic immunoassays; practical illustrations of the various steps involved in immunoassays; discussion of the problems and pitfalls in immunoassays and how to avoid them. This fifth revised edition is a worthy successor to it's predecessors in this famous "Laboratory Techniques" series. Relation to Other Types of Assay. 13. Automation of Immunoassays. 14. Organisation of Assay Services. Appendix I,. Radiation Counters. Radiation Monitors. Appendix II. Suppliers of Reagents and Chemicals. Appendix III. Suppliers of General Reagents and Materials as Listed in Text. Appendix V. Safety Precautions in the Handling of Radioactive Isotopes.